These are the DOS benchmarks I use for all my videos and articles! This is a Google Docs sheet. Anyone can view the document. 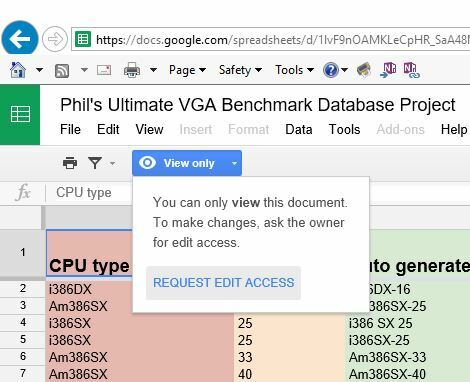 To enter benchmark results you need to be signed in with a Google account and then send me an edit request. There is a button at the top left side of the screen to to this.